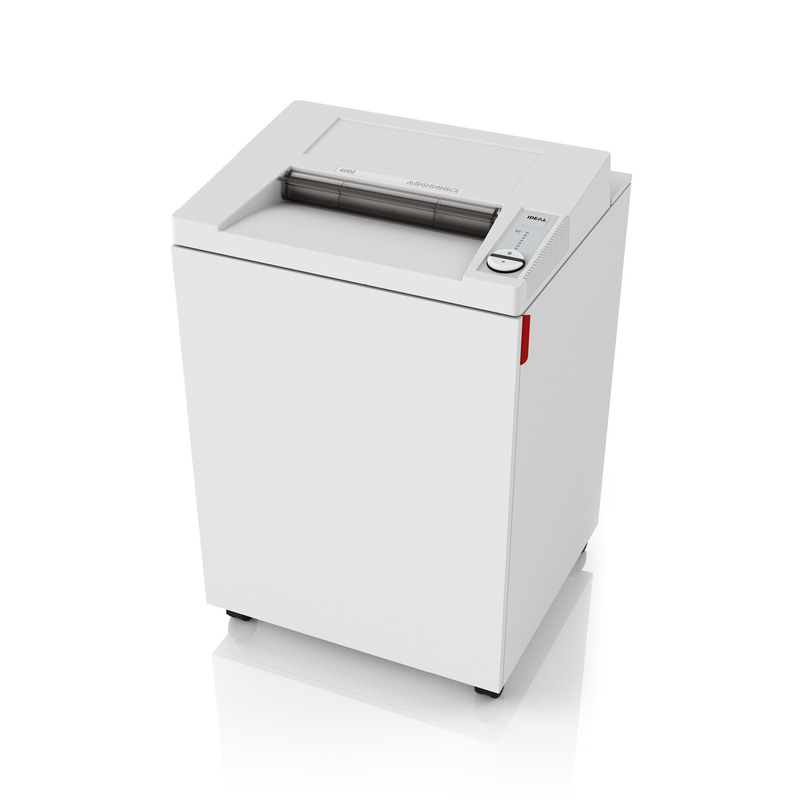 High capacity office shredder for large paper sizes with ECC – Electronic Capacity Control. Patented safety flap: Extremely safe: electronically controlled safety flap in the feed opening to keep fingers, ties or other objects away from the cutting shafts. Patented safety flap: Extremely safe: electronically controlled safety flap in the feed opening to keep fingers, ties or other objects away from the cutting shafts.